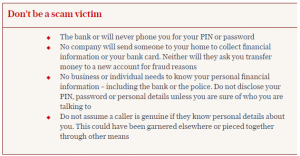 The Payments Systems Regulator (PSR) has asked for banks to fight payment scams, after having received many complaints of fraud and convincing scams which have cost customers millions. The PSR responded to a series of complaints from consumer advocacy group Which?. The group concluded that banks are not sufficiently responsible in protecting their customers. The PSR insists that banks need to be more diligent in identify specific frauds, as well as regulate their practice standards for handling them. They have also advocated for the collection of more data on scams. While the PSR stopped short of advising banks to compensate customers, it has urged them to improve their safeguarding against fraud. This included a suggestion that they incorporate Confirmation of Payee (CoP). Where your business is concerned, further vigilance and tighter safeguarding is required. It may be necessary to implement a purpose built anti-fraud suite into your business model. As PCI requirements change, so do criminals’ methods of defrauding merchants of goods and services. At Axcess, we have decades’ of experience in fraud monitoring and prevention. Our solutions work, and we have dedicated staff that can assist in tailoring integrated fraud-prevention technology to suit your business needs. We are dedicated to protecting our merchants from fraud, regardless of industry sector or risk. To find out more about Axcess’ fraud prevention services, click here or get in touch with us via our contact form.